John Rufus Gifford was born today August 5, in 1974. He is a former U.S. Ambassador and a candidate for U.S. Congress in Massachusetts's 3rd congressional district. 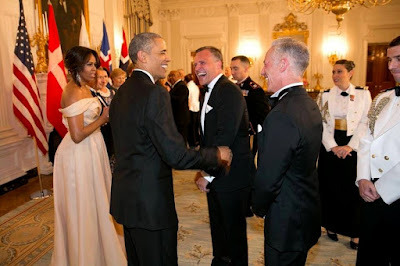 He served as the United States Ambassador to Denmark from 2013 to 2017, and was the Finance Director for Barack Obama's presidential re-election campaign in 2012. Gifford grew up in Manchester-by-the-Sea, Massachusetts. He graduated from St. Paul's School in Concord, New Hampshire in 1992 and he received his B.A. from Brown University in Rhode Island. Gifford spent a few years as a producer in Hollywood before moving on to politics. He started in Democratic politics by working on John Kerry's 2004 presidential campaign. He subsequently started his own consulting business and advised numerous Democratic officials and advocated for progressive causes across the country. He met Barack Obama in early 2007 and began working on his 2008 presidential campaign. After Obama took office, he served as Finance Director for the Democratic National Committee in Washington, D.C. before moving to Chicago as a senior staff member of President Obama's 2012 re-election campaign. As National Finance Director for the re-election campaign he was ultimately responsible for the record-setting billion-dollar budget. 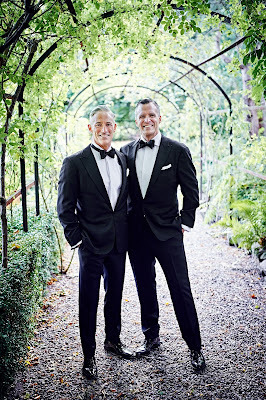 Gifford is openly gay, and commentators from GQ, Huffington Post and L.A. Weekly referred to him as Barack Obama's informal "ambassador to the gay community." He is a Federal Club Member of the Human Rights Campaign and a Partner in Conservation for the World Wildlife Fund. 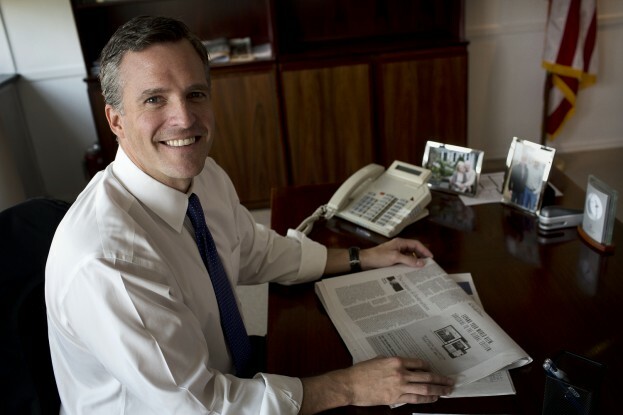 On August 1, 2013, Gifford's nomination from President Obama to be the next United States Ambassador to the Kingdom of Denmark was confirmed by the United States Senate. He was sworn into the role on August 15, 2013, and presented his credentials to the Queen of Denmark on September 13, 2013. In this capacity as Ambassador, he helped modernize the transatlantic relationship through youth engagement and institution-building, among other bilateral and global issues. He outlined a diplomatic strategy that prioritized non-traditional audiences and people-to-people relationships. As part of a never-before-seen public diplomacy strategy, he was the subject of the documentary series I Am the Ambassador. The documentary TV series about his life as an ambassador ran for two seasons, winning the Big Character award at the 2015 TV-Prisen award-show. Gifford was an integral part of bringing the American art form of Long Form Improvisation to Denmark. In September 2016 he was in the opening show at the first improv theatre in Denmark, Improv Comedy Copenhagen, and said, "No matter what you are doing, you always have to allow time to laugh, smile and have fun. And creating that balance is incredibly important." On January 16, 2017, Gifford was awarded the Grand Cross of the Order of the Dannebrog by Her Majesty Queen Margrethe II of Denmark for his meritorious service to the Kingdom of Denmark. On November 13, 2017, Gifford announced on Twitter that he was running for congress in Massachusetts's 3rd congressional district in the coming United States House of Representatives elections in Massachusetts, 2018. Gifford married his husband, Dr. Stephen DeVincent, a veterinarian, on October 10, 2015 in a ceremony at Copenhagen City Hall in Copenhagen, Denmark. They live in Concord, Massachusetts. In 2016, Gifford co-wrote a cookbook with his husband, called The Ambassador's Kitchen. I started watching the documentary because I found it interesting and he is quite handsome. I was excited for him when he talked about his upcoming wedding; however I didn't know he was gay, I missed those parts of the show. Imagine my elation when I realized that he is gay, I think my jaw dropped when his partner walked in and it was another man!